Cut-to-length orders and custom fabrication is our specialty. We have the ability to receive and transmit your engineering specifications electronically to minimize turnaround time and expense. We utilize a system for our estimating, and state of the art technology in the preparation of shop drawings. This is to ensure the accuracy and quality of our fabrication. Ensuring you, our customer an on time delivery. 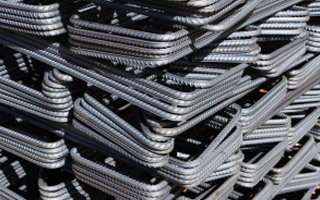 While Elkins Tri-Steel focuses on pre-assembled rebar products, fabricated rebar, and stock rebar in all grades and sizes, we also make available services the others don’t. Elkins Tri-Steel provides estimating, detailing and product delivery requests with an in-house team whose experience and knowledge is second to none. Whether you are a placer providing rebar installation or a contractor looking to finish the job under budget and on time, Elkins Tri-Steel will help you understand the entire process to make it as easy and hassle free as possible. If you are looking for a quality fabricated rebar, please call 817-577-3588 or request a quote online.